Shukkeien's name can be translated into English as "shrunken-scenery garden", which is also a good description of the garden itself. Valleys, mountains, and forests are represented in miniature in the garden's landscapes. Through careful cultivation of the land and vegetation, the garden mimics a variety of natural formations and scenic views. 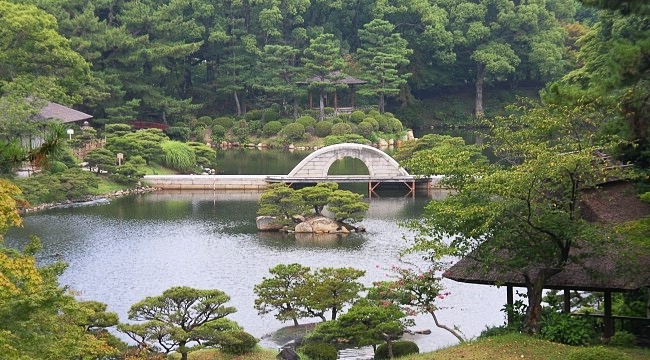 Shukkeien has a long history dating back to 1620, just after the completion of Hiroshima Castle. 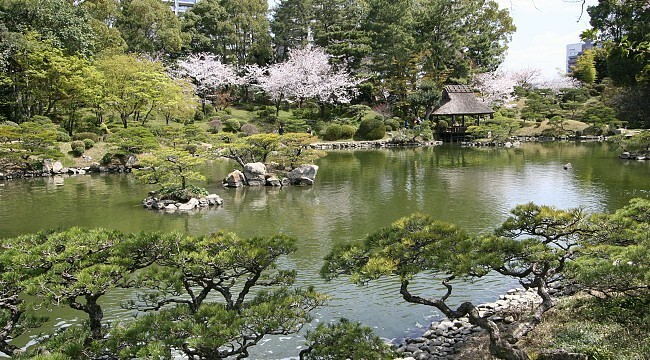 The garden displays many features of the traditional aesthetics of Japanese gardens. Around the garden's main pond there are a number of tea houses which offer visitors ideal views of the surrounding scenery. The entire garden is connected by a path which winds around the pond at the center of the garden. The path passes through all of Shukkeien's various miniaturized sceneries. Following this path around the garden is the best way to enjoy Shukkeien's.